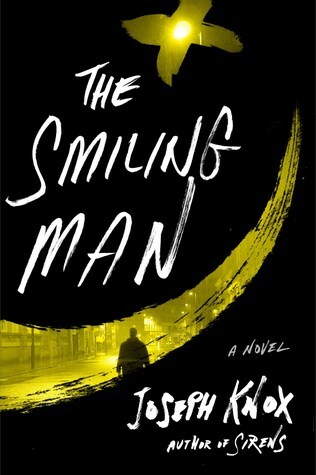 The Smiling Man is the second book in the Aiden Waits series by Joseph Knox. I, being the Aiden Waits novice that I am, was a little concerned when I first picked this book up, wondering if I needed to read the first one before jumping into this one. Luckily, I didn’t. While there are a few happenings mentioned that I assume happened in the first book, they are nothing vital to this story line. Anyone can pick up The Smiling Man and understand the entire story with no problems. This police mystery takes place in England, so laws and jargon are a little different than those in the States, but the story itself if a complex one! There are so many people and different story lines involved that it was 1) hard to get bored and 2) easy to get lost. DC Waits would be working on one case one second and then all of a sudden he’d be working on another one that somehow or another would eventually tie back to the first case. Throw in his past showing up and you have a whole other story line to follow! While I know this is how real-life detective work (you can’t compartmentalize your cases and personal life into neat little chapters), I found the way Knox sowed the pieces of DC Waits’ life together was a bit rough, and needed some tailoring done. The overall story was an enjoyable as a mystery can get. I was constantly trying to put the pieces together, always a step behind DC Waits due to his inside knowledge because of his badge. And I do have to say, the ending was one that I didn’t see coming together the way that it did! For one roughed up cop that probably needs to go to rehab and anger management, he really does have a great mind for puzzling out the mysteries of the policing world! 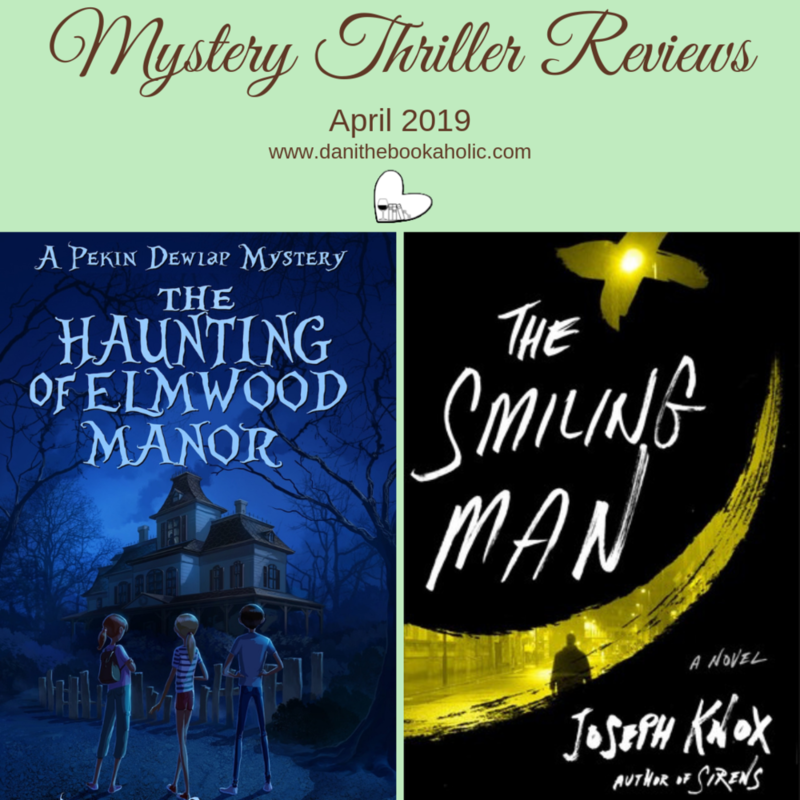 I was given a copy of Pamela McCord’s The Haunting of Elmwood Manor by Xpresso Book Tours for this month’s Mystery & Thrillers review, and I’m quite happy that received the copy! I always enjoy reading middle-grade stories, especially ones that I can share with my teacher friends and my nephew! McCord’s story of Pekin and her friends, Scout and Amber, forming a ghostbusting business is one that I think many middle-graders will enjoy reading. There is enough excitement and mystery to it to keep the boys interested, and enough romance for the girls. While I felt that some parts of the story may be a little intense (I got a little nervous reading it late at night with the creeks and shadows of my old house around me), I think the story overall had a happy tone to it. It is a story of the paranormal, but it’s also a story of being brave, growing up, and knowing when to ask for help. 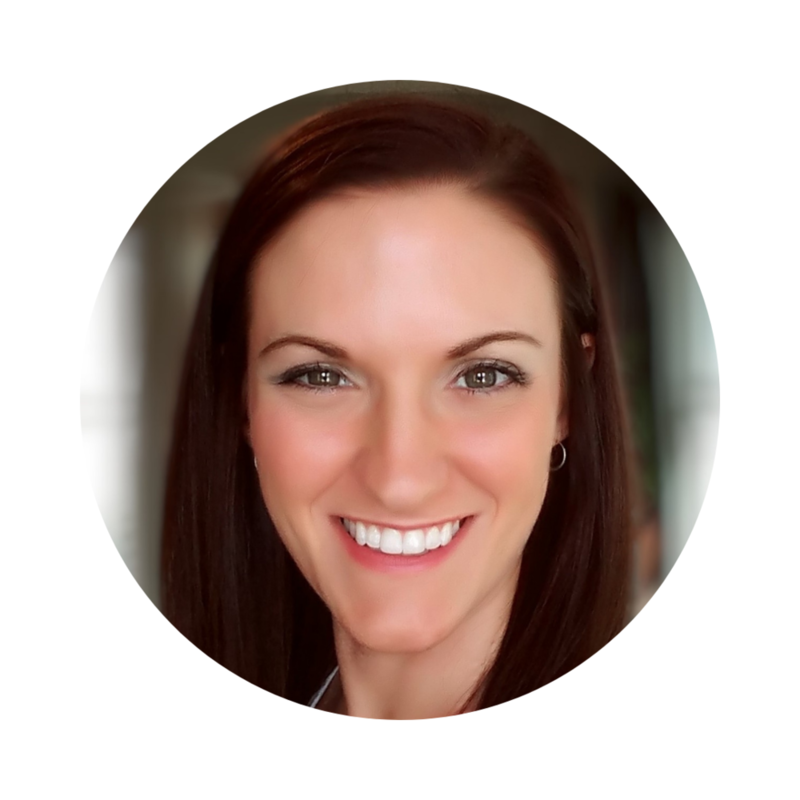 It’s a story of love, friendship, and helping others. 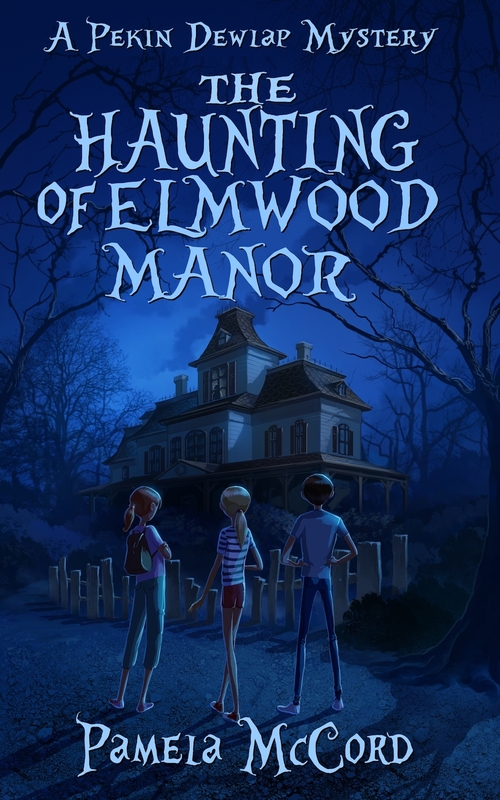 The Haunting of Elmwood Manor is a PG mix of Shirley Jackson’s The Haunting of Hill House and William Peter Blatty’s The Exorcist, with the light hearted and ‘friends-first’ feel of JK Rowling’s Harry Potter. Perfect for any middle-grade reader who enjoys ghosts and the paranormal!